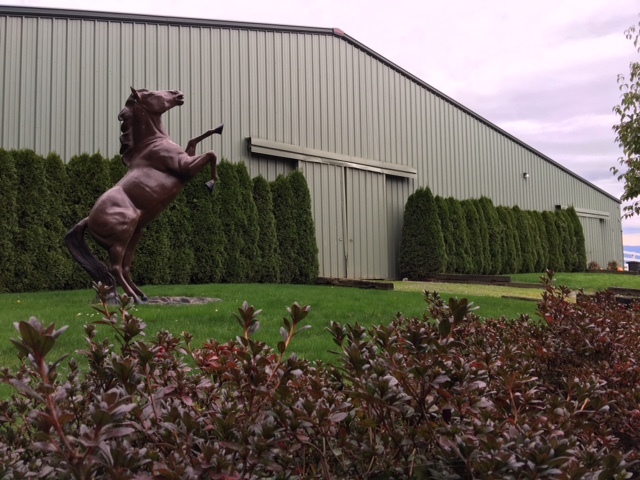 In February of 1999, Kim McLaughlin started Eagle Mountain Ranch, a beautiful state of the art equine facility. She saw a need to provide high quality training in Western, Saddle Seat, Hunter, and Reining divisions - with a focus on Arabian horses. Having learned for years from world renowned trainers, Kim knew her ability to watch and teach others with an educated eye would benefit her clients and help them succeed. Later, Kim met and married her beloved husband Alberto Esquivel, while both were training horses in Arlington, Washington. With similar passions, they have continued educating themselves by working with nationally known trainers so their abilities will always be cutting edge. 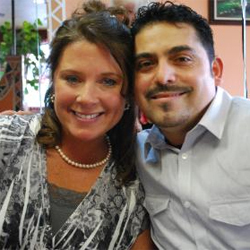 In addition, Alberto and Kim have the knowledge, patience and experience to recognize and correct each horse and rider, for their ability to perform. Alberto has also taken the time to learn and naturally have the gifted talent to correctly trim and shoe our show and pleasure horses. With all of this knowledge hard work and pride we work hard to produce a safe, supple all around horse and confident equestrian clients. Days at Eagle Mountain Ranch are filled with the beauty of viewing the Cascade Mountains and watching the young colts, fillies and calves playing in the fields. With Arabians being their breed of choice, they are busy getting the young under way with their training, while also working with clients and their horses to fulfill their dreams in the show arena from class A to National levels. In the Summer Kim and Alberto enjoy their annual trip with clients to Canaan Guest Ranch in Eastern Washington, home of the brood mares. All of the staff takes great pride being a part of the ranch. We work very hard to keep a clean, safe, and organized professional atmosphere. If you are looking to try something new or just want a change. Come give us a try! We know you will be happy. Our job is to create happy horses and clients in the show arena and on the trails.